MAKING LAW prints can be custom ordered in any size and on a variety of materials. Here are a few examples of past installations. Some are printed on vinyl and mounted on lightweight gatorboard. They are easily cleaned and inexpensive to reproduce. Some are on dibond, which is similar to aluminum. We can use thin wood as well. Just give us a call to discuss the options. 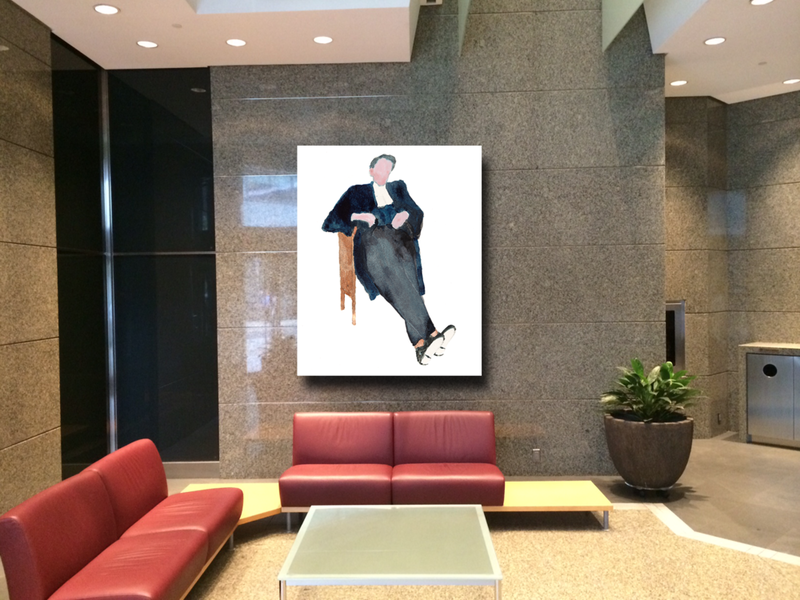 The client wanted to use the lawyers from the print "They're Laughing" in a lobby, so we mocked up a few to see what size worked best. Time Flies has been adhered to dibond. This cut out is mounted on dibond.